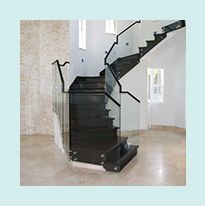 MIAMI STAIRS | GLASS RAILINGS | STAINLESS RAILINGS | WOOD RAILINGS | IRON RAILINGS | Quality Stair Corp.
Our railings and stairs can be built to match any design you can imagine, please feel free to contact us for a no obligation quote. 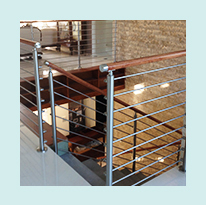 The railings displayed on this website are a small sample of the many design possibilities available. Each railing can be constructed to suit your individual requirements, and each comes with the Quality Stair Corporation Seal of Quality. Railings are build using high quality materials to better enhance the overall look of your stairs. 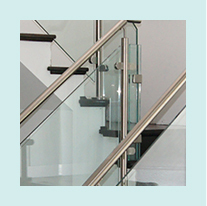 Quality Stair Corp is dedicated to build railings according to customer needs and requirements. 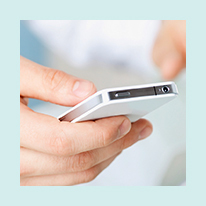 Our company provides free home and commercial estimates.